The age of discovery was at its peak in the eighteenth century, with heroic adventurers charting the furthest reaches of the globe. Foremost among these explorers was navigator and cartographer Captain James Cook of the British Royal Navy. Recent writers have viewed Cook largely through the lens of colonial exploitation, regarding him as a villain and overlooking an important aspect of his identity: his nautical skills. In this authentic, engrossing biography, Frank McLynn reveals Cook's place in history as a brave and brilliant seaman. He shows how the Captain's life was one of struggle--with himself, with institutions, with the environment, with the desire to be remembered--and also one of great success. 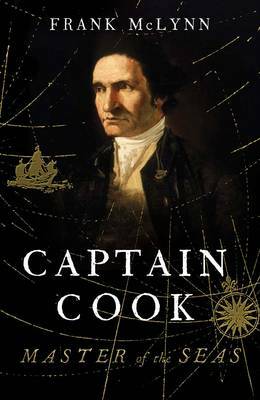 In Captain Cook, McLynn re-creates the voyages that took the famous navigator from his native England to the outer reaches of the Pacific Ocean. Ultimately, Cook, who began his career as a deckhand, transcended his humble beginnings and triumphed through good fortune, courage, and talent. Although Cook died in a senseless, avoidable conflict with the people of Hawaii, McLynn illustrates that to the men with whom he served, Cook was master of the seas and nothing less than a titan.